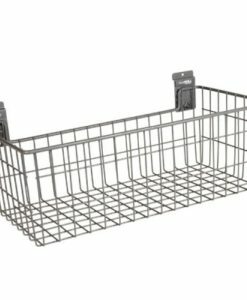 A handy assortment of storeWALL baskets and shelves to complete your garage organization. A well organized garage or storage space requires shelves and baskets to keep items together and easily seen. Our Basket & Shelf Bundle is the perfect addition to achieve your perfectly organized space. Cans of paint, overstock from the box store, and sports gear have a home now.